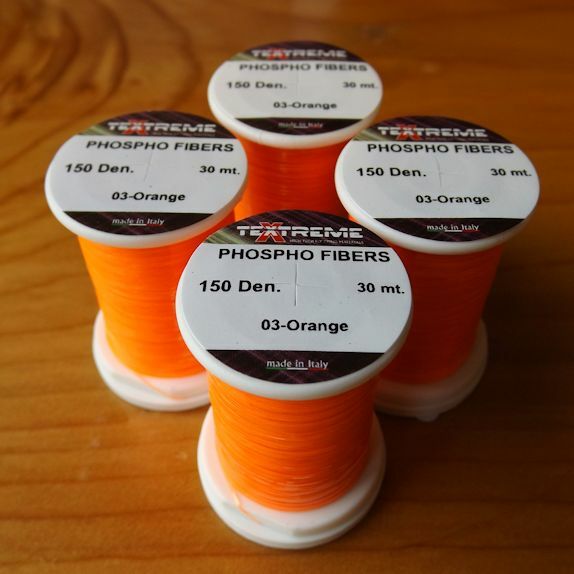 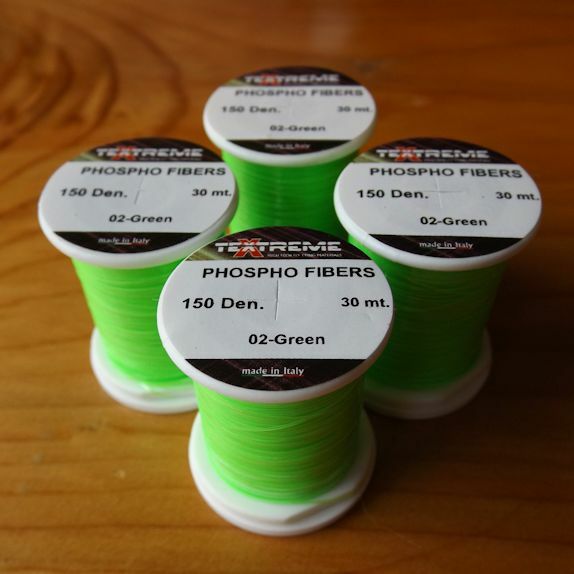 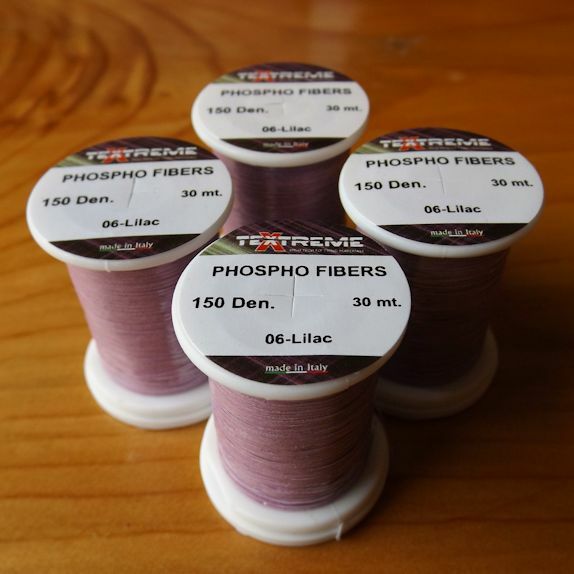 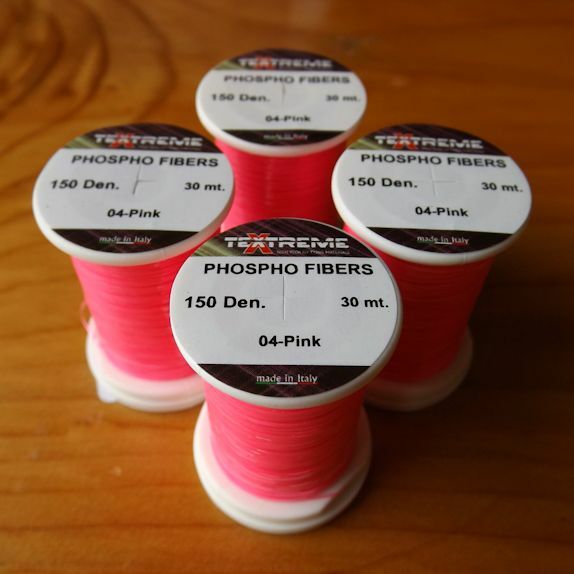 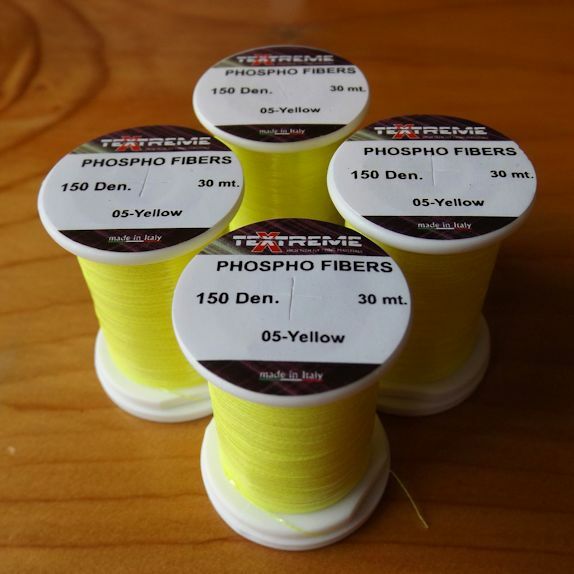 Textreme Phospho Fibers. 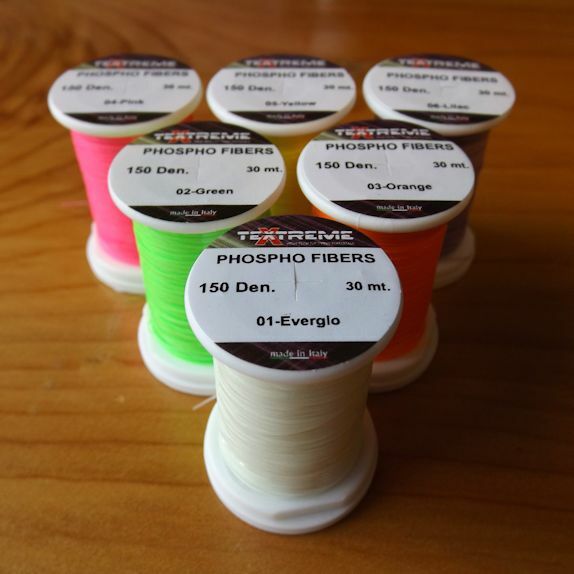 Available in 6 great colours. 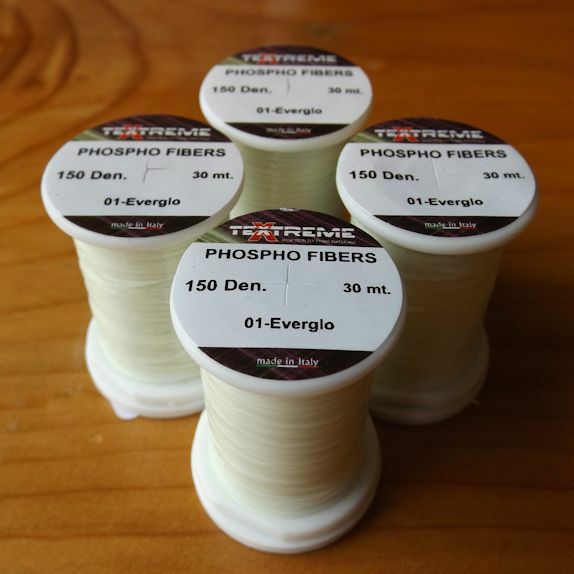 New Phospho Fibers from Textreme is impregnated with glow in the dark pigment. 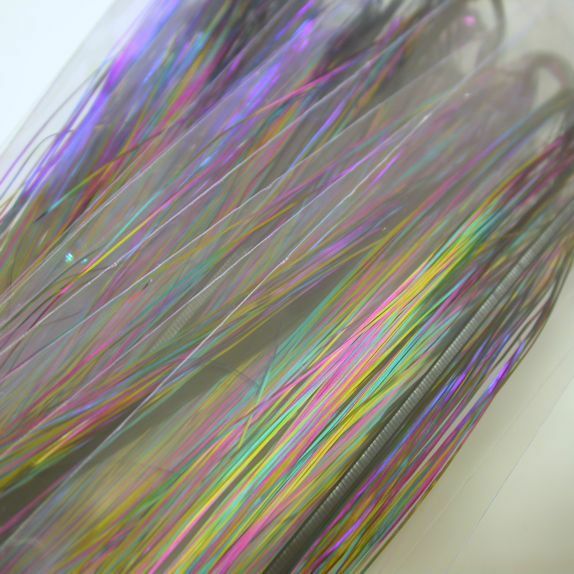 However, unlike most glow tinsels that glow green regardless of the tinsel colour, Phospho Fibers glow the same colour as the tinsel itself. 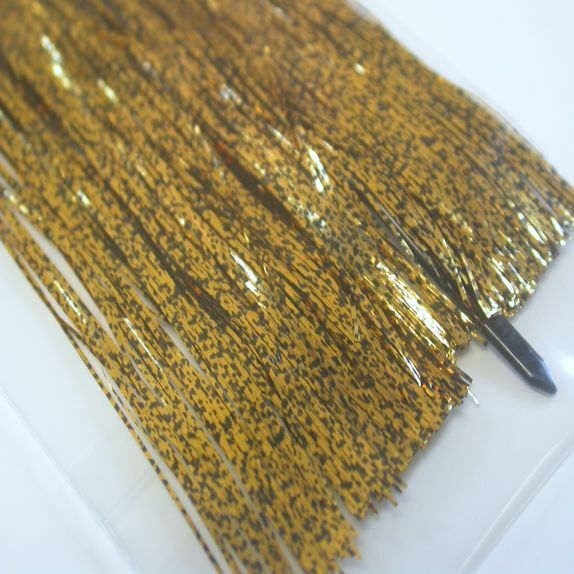 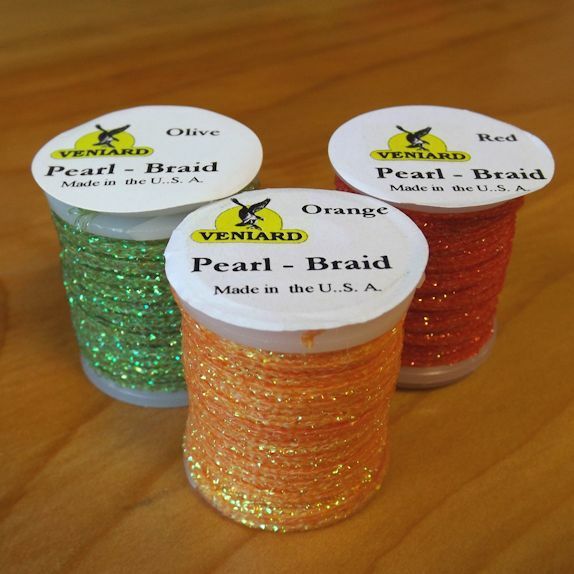 This tinsel has been very popular with European River anglers and is set to be a big hit on the Stillwater scene and is already proving effective on buzzers & nymphs. 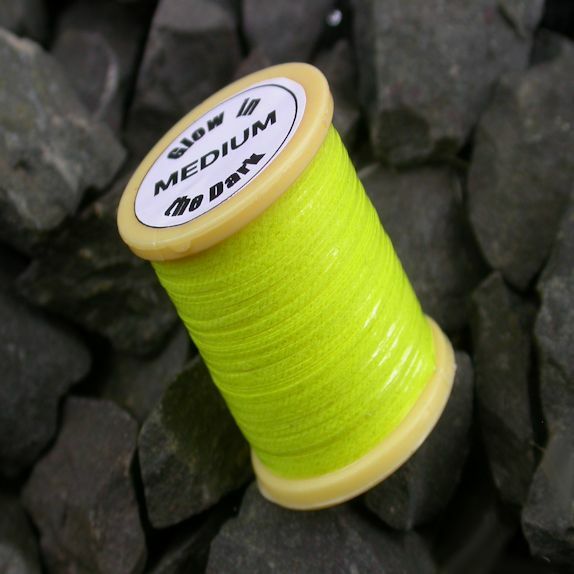 Available in 6x colours.